The seminar was presented by Professor Mike Wilkinson from the Institute of Biological, Environmental and Rural Sciences (IBERS) at Aberystwyth University, Wales on Friday August 27 in the Royal Society Rooms. Professor Wilkinson has been involved in a research project at Aberystwyth University to agree on a standard ‘plant DNA barcode’ to provide the foundation for the widespread use of DNA technologies to identify plants. 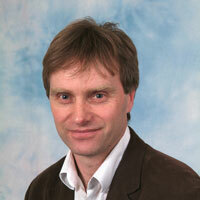 Professor Wilkinson is a member of the 52 strong team of scientists from 10 countries who collaborated on the work. Click here to view the ACEBB 2010 Seminar programme. This entry was posted in Events, Podcast and tagged Aberystwyth University, ACEBB, DNA, Mike Wilkinson, plants, Podcast, Seminar. Bookmark the permalink.